Complete Kit with all cameras and cables. 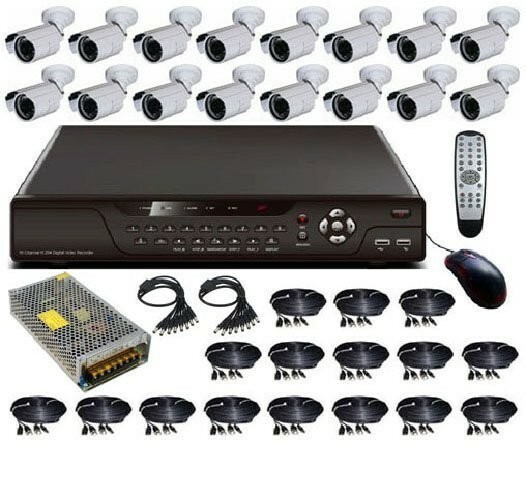 Our 16 camera indoor/outdoor CCTV is the ultimate surveillance system to protect your large sized home or business, your family or employees, and all of your hard earned contents. Designed with H.264 technology, this CCTV system provides the most efficient video compression techniques available today. The image quality is excellent, and is consistent with all of the other features and reliability that you can expect from this very well priced model.The DVR is a 16 channel, fully integrated, stand alone digital video recorder. It can be connected to a PC monitor, PC set or LCD monitor, and comes complete with a 1TB hard drive installed. 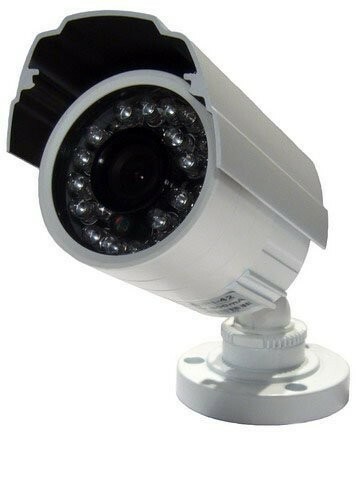 This system truly is plug and play!Also included with this system are sixteen stylish 1/3” Sony CCD indoor/outdoor cameras, with an IR distance of 130 feet (for night vision).Once installed, have the peace of mind knowing that not only is your property being monitored continuously, but that you can view remotely via the internet, even from your mobile phone, 24 hours a day! Detailed product specifications are listed under the 'Additional Information' tab and, as always, your complete satisfaction is guaranteed.